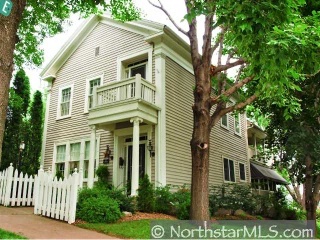 Walk to downtown Stillwater or view the St. Croix River from this Historic 2 Story Home. Enjoy hardwood floors, trim, high ceilings, balcony, deck, porches and much more. Over 3,000 sq. ft finished and Nursery is Garden House attached to the garage.